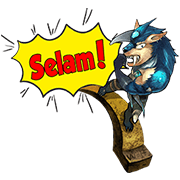 http://www.line-stickers.com/ – Wolfteam Stickers Line Sticker | Amazing Wolfteam stickers have reached your mobiles on LINE! Friend Wolfteam LINE’s official account to get them. Available till August 3, 2016.